Have you seen the new Art Impressions sets that are arriving at Michaels stores this spring?? 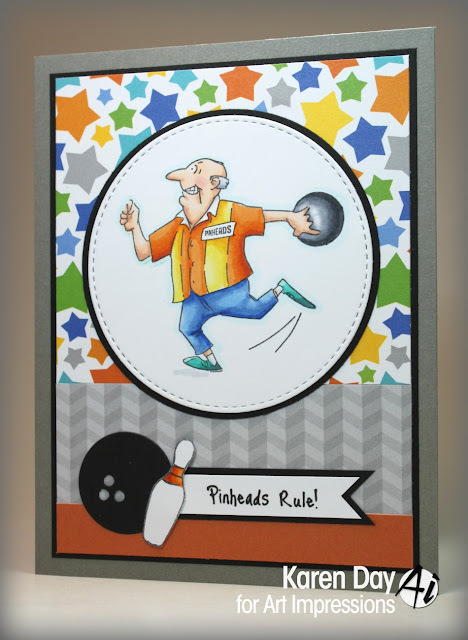 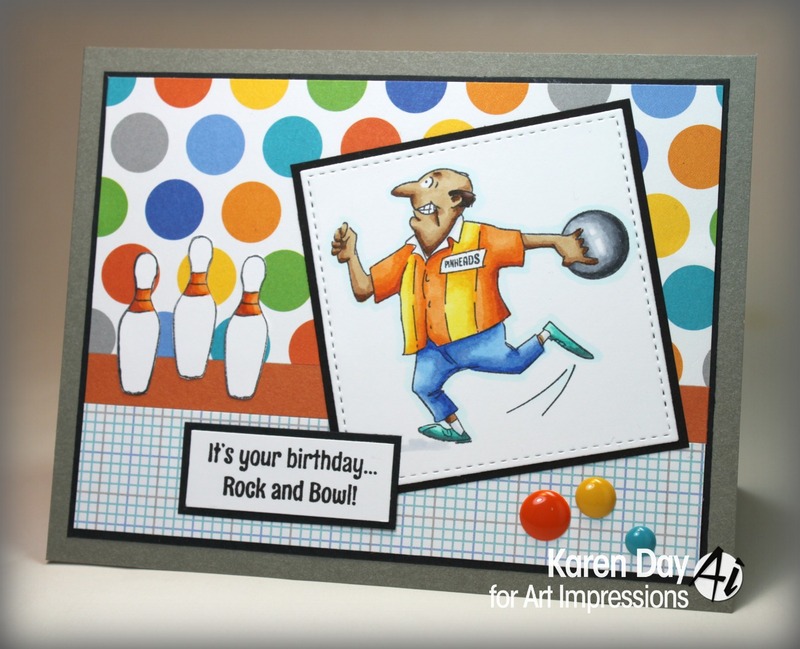 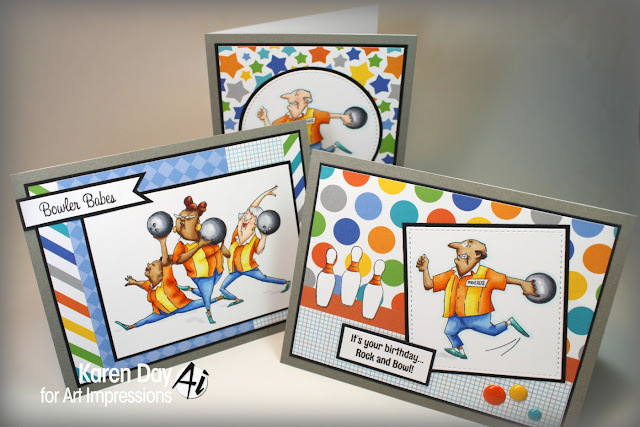 The set includes the two larger images that I've used on my cards, the small bowling pin, a bowling bag image - and six wonderful sentiments. 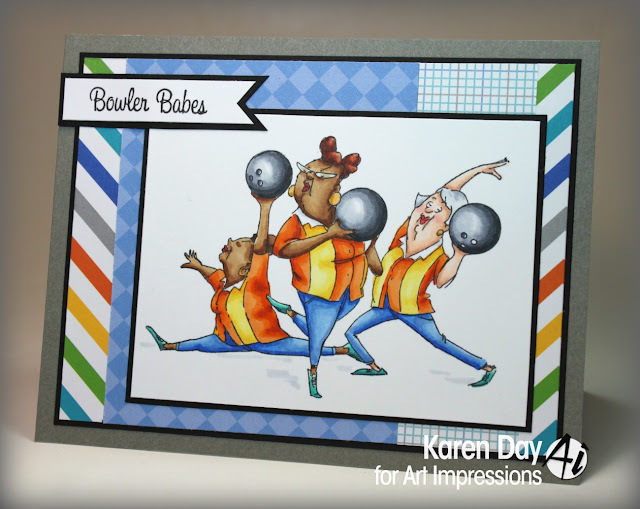 Check out the post on Karen't blog HERE! These are fantastic. 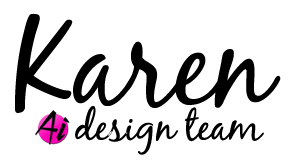 I am so glad that the big box craft stores carry Ai.